Connect into the magic of wolf energy and your own wild spirit. Kirsten Korot's NATURE NURTURE EXPERIENCES™ & APEX PROTECTION PROJECT come together to bring you this unique and intimate day of adventure and healing. As you spend the day with the Wolf Ambassadors of the Apex Pack you will create unforgettable memories through hands-on, interactive engagement. You will meet each member of the Apex Pack and hear their story. We will hike with them in the beautiful desert hills. Come back and share a light dinner & wine by the fire pit. 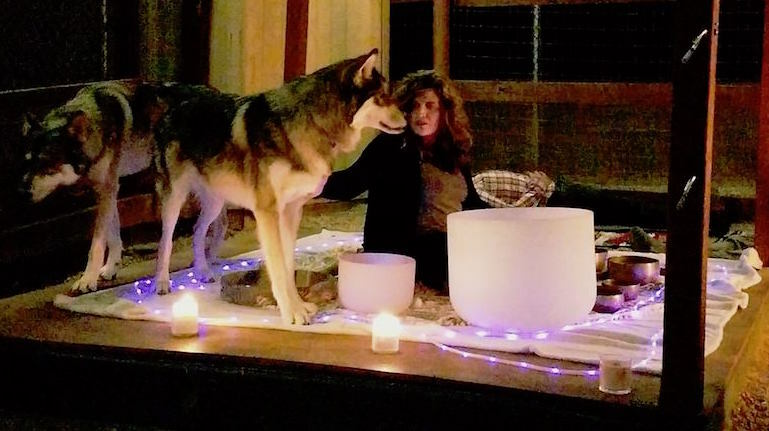 We finish off the evening with Kirsten creating a symphony of healing sounds with Tibetan & Crystal Singing Bowls, Chimes and other instruments under the stars and moon and accompanied by the beautiful howling of the Apex Pack to finish off the day. Nature, Animals & Sound Healing create for a magical experience.